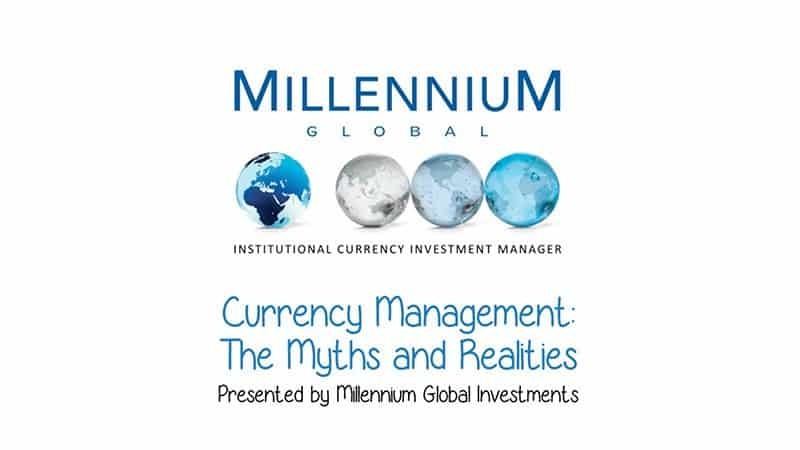 Millennium Global is a currency management specialist and has one of the longest track records in the industry. Independent and owner-managed, we offer a full range of currency solutions for the global institutional investor community. Risk Management and Alpha Seeking strategies for institutional investors. Single point access to wholesale FX markets: Best execution, price transparency and operationally efficient currency transactions. Macro and Currency Research, Hedging Policy, FX Signals. Founded in 1994, we are an independent institutional asset manager based in London specialising in currency investment management for institutional clients globally. We provide currency management solutions including risk mitigation strategies, active management of existing risks, absolute return products and advisory services.